Our boot sill protectors convince with high quality standards. Besides protection, the sills also provide a visual enhancement of your vehicle. We are using only materials of superior quality for our boot sill protectors, such as ThyssenKrupp V2A or V4A stainless steel and various types of aluminium. The car floor mats are the first point of contact inside your vehicle. Because of the varied designs and the accurate fit, the interior of the vehicle turns into an eye-catcher. Our car floor mats are manufactured from high-quality polyamide velour, equipped with a non-slip rubber surface on the back, and delivered with attachments suitable for your vehicle. The car floor mats can be cleaned and vacuumed easily. 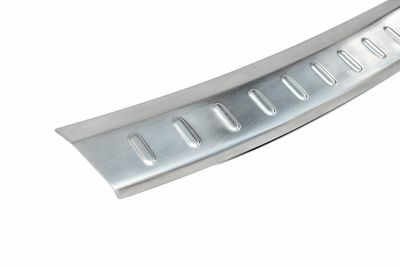 Our door sills convince with high quality standards. Besides protection, the sills also provide a visual enhancement of your vehicle. We are using only materials of superior quality for our door sills, such as carbon, aluminium, ThyssenKrupp V2A or V4A stainless steel. tuning-art the name stands for quality! tuning-art has been offering high-quality car accessory products for more than 10 years. Due to our large product range as well as our flexibility, we are able to provide suitable items for nearly every vehicle. Since our products are designed and manufactured in-house, we are able to guarantee high quality. Our car floor mats, car boot liners, grille guards, door sills and boot sill protectors do not only enhance your vehicle, they also offer high-grade protection. We are using nothing but high-quality materials for our products. 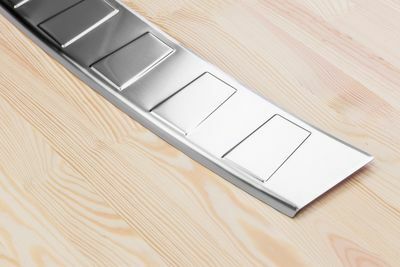 Stainless steel items, such as boot sill protectors or door sills, are manufactured from superior quality ThyssenKrupp V2A or V4A stainless steel alloys. The car floor mats and car boot liners are manufactured from high-grade polyamide velours. Quality is always our top priority. Fast processing and shipping, perfect service and a helpful and friendly point of contact is waiting for you. We are happy to take care of your wishes, questions and comments daily between 8.00 a.m. and 4.00 p.m.